I don&apos;t eat a lot of treat food because I have to stay fit for work. I asked for some of this fudge but didn&apos;t really expect to get it so was really happy when I opened the box and saw it inside. It looks so eyecatching with the gold foil paper and the bright label wrapper. As soon as I started to open it I was hit with a wonderful lemon smell and that sugar smell that rolls off good quality fudge. The texture was really nice, smooth with a soft resistance to biting. I was glad it didn&apos;t have that grainy, sandy texture of undercooked fudge that I sometimes get from the fudge shops at trade and home shows. This was really a delight to eat. I cut off a small sliver, just to give it a try, then had another to double-check. They were only small slivers, so I had a bigger piece from the other end of the bar to see if it was consistent, and it seemed to be. To be fair, I snuck another corner off another part of the bar, then realised I had only been testing the outer edges. So I cut the block in half and took a piece from the middle. Good quality testing means repeatable results, so I put it away for an hour, and repeated the tests and they proved this was top-notch fudge. Then I realised I only had about 1/6th of the bar left. Looking at the cut-marks on the paper, I realised I had been cutting bigger and bigger samples each time... it was so good I had lost track and started to really go for it. Not many things, let alone a fudge, have done that to me. It&apos;s a solid sign of really top product if I start to do that without realising it. Would I buy more? Yup, have already had a mate place an order for me, and will be collecting it from him in a week or two. I have a sneaky feeling I&apos;ll need to order more just before I go see him, because he&apos;s another fan of sweets. This fudge bar was in a luxurious gold packaging that was smaller in size than other brands but was a good thickness. At 100g this was a good size for a gift or as a treat. The Cinnamon Cappuccino fudge offered a lovely smooth creamy texture with a subtle yet undeniably coffee flavour, however, the cinnamon flavour intensity changed depending on the piece of fudge that we had. In some it was not present in others it added wonderful warm notes to the coffee taste. We also found that the fudge was not really cut into pieces more stamped as to portion sizing. Overall I like that it is Christchurch made from a small business that can only be purchased online or at the Christchurch markets. Which may phase some people but it doesn&apos;t worry me. I think that this will be a great addition to the gift baskets that I make and give at Christmas and have already placed an order with them to try other flavours. Enjoy!!! Fudge, when at is best, is one of the most delicious sweet treats that there is. However, I am yet to find a really truly delicious, home-made style fudge which I haven&apos;t made myself. So often I have been disappointed by chewy, over-sweetened and boring tasting fudge, that I usually now steer clear for fear of disappointment. 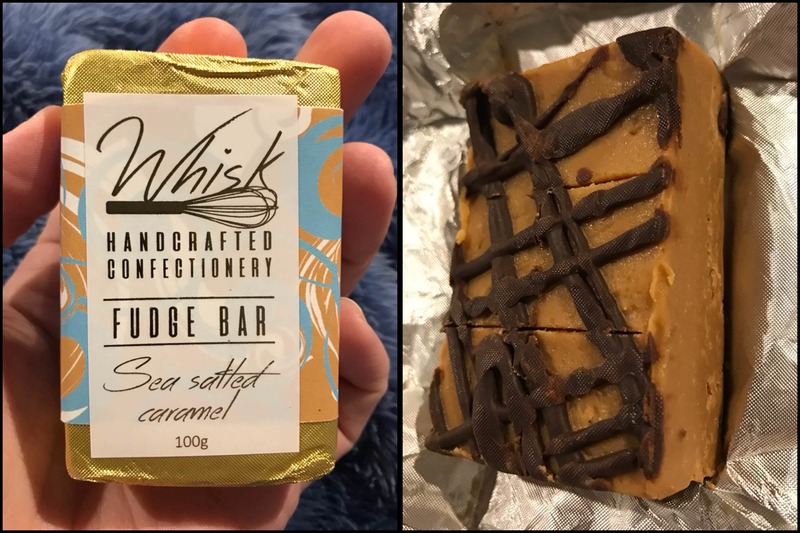 However, when I spied these Whisk Fudge Bars on the KIWIreviews site, the array of delicious sounding flavours really peaked my attention, and I, alongside my family, were so excited to receive some to review. The bar I received was the passionfruit flavour. It had a really comforting weight for the size of the bar, and without opening the pack I could tell that this was going to be a real treat. When I opened the lovely bright pack, I was pleasantly surprised that the bar was already split into 6 pieces- each enough for a taste without being too rich. The fudge itself was beautiful- lovely and smooth. 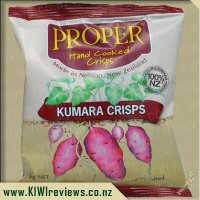 It had the truly great quality of melting in your mouth- leaving you really savouring the deliciously rich flavour without being chewy or heavy. The delicious passionfruit flavour was a lovely sharp edge and balanced perfectly with the natural sweetness of the fudge. Another great feature was the passionfruit seeds which added a delicious crunchy texture to the fudge which can be very one-dimensional. As the fudge was so rich, we never managed more than one square per evening, however, this was perfect as it meant a number of nights of deliciousness for us, and really great value for money for the pack. The pack resealed well and preserved the fudge over the few nights that it took us to eat it. We found the bar to be the perfect end to a meal, but also a lovely bite to accompany a morning coffee or to provide a sweet bite as a quick pick-me-up at any time of the day. It certainly felt like a really special treat, a little piece of luxury which was perfect to give you that little lift at any time of the day. Overall, we loved this product. It tasted delicious and was a little piece of luxury to brighten up the worst of days. The passionfruit flavour was on-point- sharp enough but perfectly balanced with the sweet fudge, and with a delicious little crunch from the perfect amount of seeds. I will definitely be back for more, and I really would encourage anyone else to do the same. One of my most favourite homemade sweets I love to make (and receive) is fudge, with a special affinity to Russian fudge! After years of making fudge, my girlfriend still knocks mine out of the park with her homemade Russian fudge; it is smooth, creamy and melts in your mouth.....yummy, if only mine is as good. 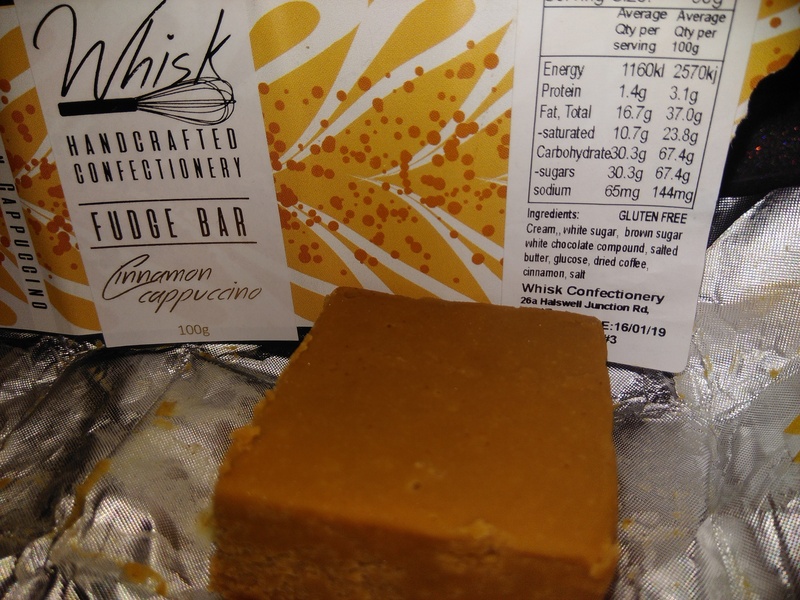 When I received the Whisk Handcrafted Fudge Bar to review, I was stoked to see the flavour chosen for me was Zesty Lemon, as that flavour combines two of my favourite tastes, fudge and lemon. The fudge is a good sized 100g block, pre-cut into six squares and wrapped in an attractive foil that can be easily re-wrapped to eat some later. I was impressed by the design on the top of the fudge, very attractive swirls that when tasted was similar to lemon curd...yum! The fudge itself was smooth and creamy with just the right amount of lemon taste and it totally melted in my mouth, it was so hard to put it down and stop at just two pieces! 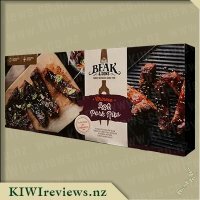 I can see these bars being a perfect gift for friends and family as a special sweet treat, the fudge is unique, gluten free, made in New Zealand and so perfectly made that I am sure they would always be really well received. I simply cannot wait to try the other flavours in the range. I love fudge and have tried many times over the years to make fudge and have never had a good success rate so I&apos;ve now given up and will buy it as an occasional treat. When my daughters heard that I had been given a Whisk fudge bar they were begging for some. It was the passionfruit variety and they are often a bit hit and miss with passionfruit as they don&apos;t like the seeds in it. They needn&apos;t have worried as we didn&apos;t have any seeds in our block just the lovely passionfruit flavour. I had got out the knife and chopping board to divide up the block between the four of us. I was surprised to see that I didn&apos;t need to do that as the block had indentations in it so you could break it into six squares with your bare hands. As we know six doesn&apos;t divide evenly into four so I gave the others a square each and had three myself (after all I am the one writing the review). It says on the packet that it serves two so I was just having one serving. The fudge had a lovely creamy texture and was just the right sweetness for me.The passionfruit flavour wasn&apos;t overpowering but it was a lovely balance and scent. Each square was a bite size and I found I was satisfied with my three squares although I am sure I could have eaten the whole bar in one sitting if I had been home alone. 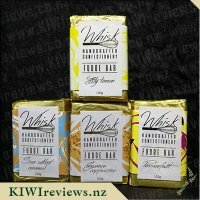 I am curious to try several of the other flavours of Whisk&apos;s fudge bars. 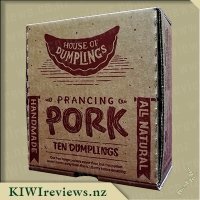 As they can only be purchased online I will probably buy extras in the hope that I can add them to gift baskets or sneak them into Christmas cards for my workmates. 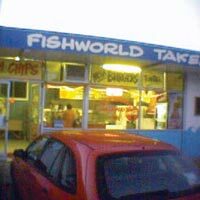 I know that what will really happen is they will been eaten very quickly by my family it they are as good as the passionfruit one. 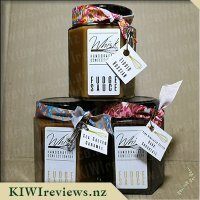 Browsing the KIWIreviews site one afternoon, I remembered seeing a post on Facebook about new fudge products arriving. 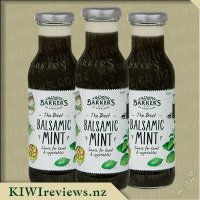 I quickly scrolled through the products available to request and instantly my mouth started watering at the names of the products and flavours. I especially liked the range of Fudge Bars available, these included Raspberry White Chocolate, Zesty Lemon, Cinnamon Cappuccino, Dark Chocolate with Pink Himalayan Salt, Sea Salted Caramel, and finally Passionfruit. I put a request in and eagerly awaited to see if I would be lucky enough to receive one. 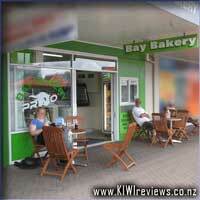 Thankfully I was chosen to review the Zesty Lemon flavoured fudge bar. Upon grabbing the product out of my review box, I couldn&apos;t help but be impressed by the sophisticated looking packaging. The golden foil that wraps delicately around the bar is encompassed by an elegant label in shades of yellow, white and the eye-catching golden coloured lettering. At 100g in size this fudge bar packs an intense flavour into a small package. Lemon has always been one of my favourite citrus fruits and this just solidified my love for the flavour. After my first bite I was captivated by the soft, creaminess and the bits of lemon zest added another textural element. 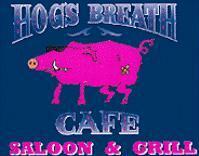 The aftertaste that was left was delicious and left me craving more. Before I knew it the bar had miraculously disappeared and I found myself on the computer looking at placing an order through the Whisk Confectionery website. I highly recommend this product to anyone with a sweet tooth, or to give as a gift. 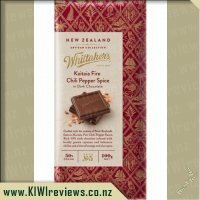 I love that Whisk Confectionery is a NZ brand, as I love supporting the country I live in. I will be purchasing some of the other flavours to try in the future, if they are of as high quality and taste as this Zesty Lemon Fudge Bar then I know I won&apos;t be disappointed. Fudge is one of those "always good" treats. I&apos;ve never tried a bad fudge even when I made it myself, although I have tried ones that are far better than others. I&apos;m not ashamed to admit that I have a rather large sweet tooth and if a product has sugar in it, I will at some point get round to trying it. When I saw the Whisk Fudge Bars come up for review I jumped at the chance to get a pack and was delighted to see that my first requested flavour of Sea Salted Caramel arrived with my review goodies. The packaging is absolutely beautiful and would make a perfect addition to any gift basket or hamper. 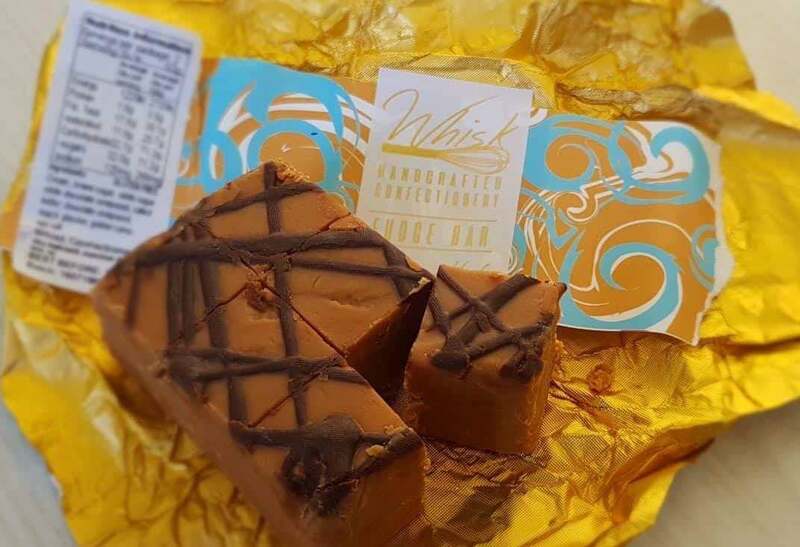 I especially loved the story of Whisk fudge on the back of the packaging, a little light reading while you are eating the product is never a bad thing. Opening the foil and actually seeing the fudge was like unwrapping a present and helped build the anticipation. At first glance at the fudge bar I could see someone had drizzled chocolate over the top which I thought was a nice touch and made it look very yummy. Unfortunately, this is where my compliments stop. The look of the bar was so good and I was excited to try a bit so I sliced a bit off the side and handed it to my husband and then sliced a bit off for myself. We both tried it at the same time and then looked at each other and both felt a little let down. The particular fudge bar we tried was quite grainy and not as smooth as I hoped it would be. Also, I know that salted caramel is the flavour of the moment and there are many different varieties of products with this now popular flavour and even more different strengths of the actually saltiness in those products but I can&apos;t help but wonder if they left out the salt in the batch of fudge bars of which I received. Neither my husband, nor I could taste any salt in it at all. The caramel flavour was pretty mild and it didn&apos;t give me an overwhelming flavour of anything much. At $5 each they are a great price but unfortunately based on the bar we tried I don&apos;t think we&apos;d buy it in the future as there are a lot of exceptional fudge places around. 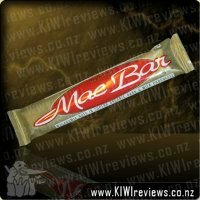 I was lucky enough to get a bar of Whisk Handcrafted Confectionary to review, complete lucky dip as I was interested in all but one flavour and I ended up getting the Cinnamon Cappuccino to try. This comes in a nice golden wrapper which goes wonderfully with the wrapper, in the wrong light the gold words can be hard to read but the rest of the packaging is nice enough that you want to take a closer look. You have all the usual information however once you take off the label, there is more information on the other side (something I wasn&apos;t aware of and so half the words got ripped in half... 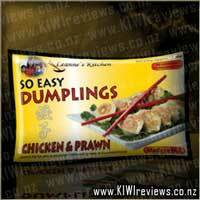 It gives good information on shelf life, no preservatives etc. but it assumes you&apos;re going to open it very soon after purchasing which means it could lead to the fudge spoiling and having to be binned, perhaps a little comment on the wrapper saying &apos;please read other side of label&apos; or similar...? Whilst I know my kids love fudge, I knew this was a treat I wanted to savour and share with my mother as we were both well in need of a treat and the kids get spoiled rotten as it is. I adore cinnamon, so I was disappointed that I couldn&apos;t smell it much at all, and we couldn&apos;t taste much with our first bite but every now and then we got a slight hit, so hit and miss with the cinnamon. When it comes to the coffee, we could easily pick that out and knew that the cinnamon would have added to the lovely taste of the cappucino. This was lovely, smooth and creamy, perfect for my mum though a little too creamy for me, but given the natural ingredients in this, I&apos;ll take extra creamy and savour it slowly. $5 is a great price for what you get, a little bar of pure indulgence. Both my mother and I agreed that we would get this brand not just for ourselves but for friends and family. YUM! I tried the Cinnamon cappuccino flavour and I have to say this is the best fudge I have ever eaten and my partner agrees with me also. We decided to treat ourselves to try the fudge after fish and chip Friday night. I loved the wrapping and the colours of the wrapper, very eye-catching. The list of ingredients how ever it did not state how much of each ingredient is used. On the first try, I noticed the cappuccino flavour more so then the cinnamon flavour, and I also noticed how the fudge just melts in my mouth. Wow, the texture and creaminess were just divine. However, while pulling part the fudge I found a small hair on mine, which is a first in all my reviews but not to worry as the fudge was so yummy. I showed my partner as well and he was not to fazed by it, it did not turn us of eating the fudge. I also have to comment how I love the tin foil wrapping over the fudge which is like opening a little present of yummy goodness. i would be recommending this fudge to friends and I would love to try the other flavours. Wow it is just so good. My partner really loved the fudge as well and said it was the best fudge he has tried. Unfortunately we ate it all and I did not save any for my son to try. It is one of those treats that when you start and can&apos;t stop. Sharing the fudge bar with my partner we got three squares each which I found was enough. If I had anymore I would probably get a sugar rush. Although I was intrigued by the more unusual flavours in this range, I chose to review Sea Salt Caramel because I knew the people I was going to share it with are very conservative in their tastes. Last time I visited them they offered me a piece of the same flavour (albeit a different brand) so I knew this was a safe choice. Unlike me, they all have a sweet tooth and always have a packet of something or other to offer round. For me, sweets are an occasional treat but this one promised to be more of a treat than most. There were six of us altogether so I was delighted to see, when I unwrapped the pack, that it had already been scored into six equal pieces. That was useful because fudge is notoriously difficult to break evenly, and I wanted everyone to have the same amount. Cutting through the scores was simplicity itself and my friends eagerly took a piece. I quickly grabbed the sixth as the youngest member of our group, Mr Five, was eyeing it up hopefully. He adores fudge and would have had two pieces if I had not acted fast! The fudge is visually attractive, with a decorative chocolate lattice effect on top. We all thought it looked and tasted home-made - some commercially produced fudges have a processed feel which is not so pleasant, but this variety has none of that. it is quite smooth and velvety, melting in your mouth and leaving you wanting more! I could probably eat three pieces but more than that would be too rich. Most of us also found that this variety is saltier than expected, another reason for not over-indulging. And when I checked the packing, I found that the recommended serving is indeed three pieces (half the packet) so my estimate was spot on. As far as the cost goes, I think $5 is fair for a product of this calibre, comparing favourably to similar products in other brands. I would happily pay this for an occasional treat, or as a small gift for a special person. The ingredients are all natural; the fudge is preserved by the sucrose and salt content alone. 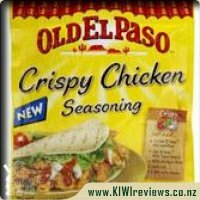 Although I personally found the flavour a little mild for my taste, the other five all loved it. Now I would like to try one of the more unusual flavours at some stage. I am especially intrigued by the idea of the fruit and cappuccino flavours. Fudge is always such a delicious sweet treat that I usually get when I&apos;m at events where are stalls selling it, I have tried making it myself at home plenty of times but sadly it just never seems to turn out, I either get it to soft that it just doesn&apos;t set, so hard that it&apos;s like a rock or so grainy that you can taste and see the sugar crystals throughout it. 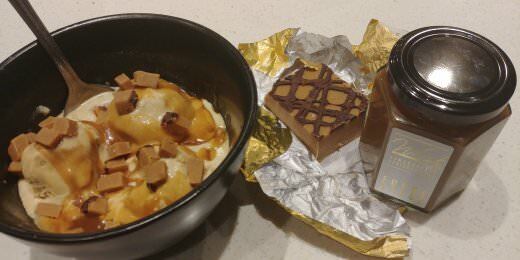 Salted Caramel is a flavour I have grown to love over the last couple of years since it has become a bit of a flavour sensation across the world and I was very excited to have the opportunity to review it as I haven&apos;t yet tried it in fudge form. The first thing I noticed about my bar of Whisk Fudge was the beautiful packaging it was wrapped in, which I must add did not have any plastic in sight, instead the generous 100gram piece of delectable, super tasty fudge was wrapped in a lovely piece of textured golden foil which was surrounded by an eye-catching label featuring tones of baby blue, white and almost gold swirls with a cute little tag telling you exactly what you are buying, I loved that the tag mentions that this is, in fact, a handcrafted item so made with love and the cute logo of a whisk. Peeling back the label I was happy and surprised to see a little story on the reverse which tells you the story behind Whisk fudge and gives you suggestions of how to get the most out of your fudge, that&apos;s only if you can resist eating it all straight away of course. The fudge itself was cut into a cute rectangle slice, with an indented line halfway across it to show where to split it into the recommended 2 servings. The fudge is a beautiful golden colour and has a yummy chocolate drizzle over it. I cut a few slithers off the end of the block for Miss 5, my partner and myself to try and we were all impressed by the results, soft, creamy and full of lovely caramel tones with the perfect hint of salt we could not have asked for a better fudge at all. We decided that the fudge would go great as a topping on ice cream to we chopped half of the remaining block into small pieces and then sprinkled it over top of our caramel fudge ice cream topped with Whisk Liquid Russian Sauce, the result was amazing a caramelholics dream come true. This morning Miss 5 and I created some chocolate cupcakes with chocolate icing and the remainder of the fudge was used to decorate these which made them so much more special. I am so glad to have come across the Whisk company and can not wait to try more of their products, August and September are busy months in our family for birthdays and I&apos;m thinking some of the yummy Whisk products will go perfectly as part of gift baskets or presents, especially at such a reasonable price. I&apos;d like to tell you about the yummy dessert I made using this fudge... a wonderous, dreamy dessert with layers of flavour that were matched only by the harmonious colour scheme of it... but I can&apos;t. I had such delightful plans, but after slicing off a small corner piece to try, so I could gauge the rest of the flavours, all plans for making said dessert were doomed. The first thing that struck me was the texture. It was soft and smooth, but with a very slight resistance to bite that made it somehow more satisfying. And more&apos;ish. Oh so very, very more&apos;ish. It was as though my hands were on auto-pilot, connected directly to my mouth and stomach who were both demanding more. So... the bar disappeared well before it ever got near the kitchen. I think the most proud thing I will own up to was that I didn&apos;t just chew on the bar... I still had enough self-control to use utensils and in pieces no larger than a sliver so that I could savour the delicate flavours. 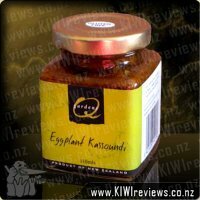 There is a definite flavour of passionfruit, enhanced by including a few pips to add the signature experience of eating anything passionfruit. However, I am a huge fan of the passionfruit flavour, so I would have wanted a lot more of that tangy hit you get from the fresh fruit. A personal preference only, and certainly not a fault or flaw of this fudge. 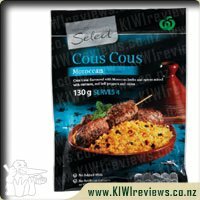 Overall, for a product of this quality, and generous portions, the price is very reasonable - I&apos;ve had far worse with 3x the pricetag - and while still in the &apos;treat&apos; category, it&apos;s not out of reach either. I&apos;d happily buy it again, and plan to do just that soon. Invigorate your morning with the divine taste of almonds & coconut. Crunchy golden oat clusters combined with delicious almond slices, coconut pieces, bran straw, and the wholegrain goodness of wheat flakes and oats.